Know It or Blow It! Tymedia is an interactive entertainment company bringing play and magic to your everyday life. We design mobile games with a focus on fun and cultural diversity. We believe there are endless stories to be told through the power of play. Our games are available for free, with virtual items available for purchase and priced relative to the entertainment value they provide. Social features are also embedded to enhance player experience and promote connectivity. In short: Playing is something everyone wants to do. And Tymedia understands that. We’re here to build enticing, rewarding gaming experiences for all people, because it’s time to take fun to the next level. KNOW IT OR BLOW IT is an epic trivia experience. Show the world how clever you are while you learn new fun and interesting facts and win amazing prizes. led by exciting characters and instantly win epic prizes! Play for a chance to win instantly. Win real prizes from designer handbags to gift card for your favorite retailers. No purchase necessary to play. 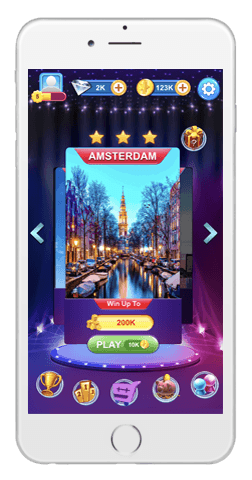 See Instant Win Game Rules for details. friends and family to fun trivia questions while earning bonus points. your smarts when you show up as a top player among friends and even worldwide.